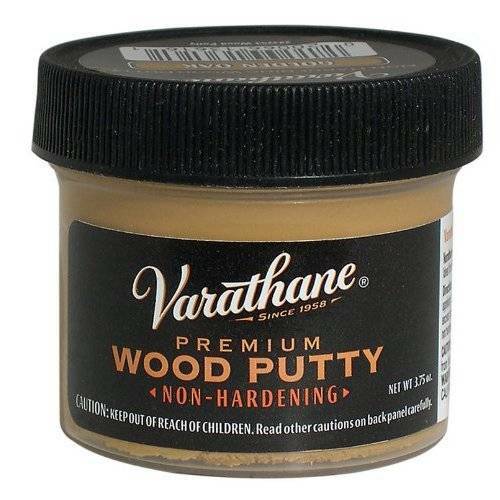 Varathane wood putty color chart. The benefits of using different types of wood filler will make the difference in whatever type of wood you are repairing, the condition of the wood, and the expense of repairing versus replacing. If for example, you are repairing a piece of outdoor furniture you will want to use good filler that will withstand the type of weather experienced in your area. If the furniture is going to be inside, this could require a totally different type. There are several different types of wood repair compounds from which to choose and with the right guidance you can do many projects yourself. The benefits of do-it-yourself projects can actually save you a lot of money. A look at the many types of wood repair products that are used for repairing everything from furniture to outside areas of your home will show you how easy some of the projects can be. When deciding what type and what use the different products are for, do a little research so that you will be sure of using the right wood filler or repair product for the repair job you are tackling. Regular spackling paste is the type used for bigger jobs that need a little more spackling paste than a small spot would require. For example, if your door stop is not working, and the door handle got pushed through the wall, you should use the regular spackling paste to fill in this hole and make it ready for sanding and painting as it is a heavier weight than the light weight spackling paste. Regular spackling paste does shrink as it dries making two or more coats necessary. Light weight spackling paste will be used for smaller holes and damage that does not require a lot to repair. This can be anything from a nail hole to missing a nail with the hammer and making a dent in your wood trim. This is typically the easiest damage to fix. Light weight spackling paste has minimal shrinking during the drying process. This makes small repairs quick and easy. Wood filler is used to repair damaged furniture or bigger items such as the door frames or window frames on the outside of your home. Many times these frames rot due to being exposed to the weather constantly and not being kept up from the beginning. Single component wood filler may be used for any type of repairs that do not support a main part of the item being repaired. In other words, you would not want to use it on the legs of a chair that someone will be using. The single component type is more for items that will not be under stress. Wood hardeners are the type you will use for bigger projects that do require a heavy duty fix so it will hold up to the repair. This type can be used on rotted wooden benches, window facings where there is extensive damage. Wood hardeners are liquids that are either thin brushable products or thick two component resins used for heavy duty repairs. The advantages of this type of hardener are once it is dry, you can do virtually anything to it and it will hold up to many years of weather and punishment. Epoxy wood fillers are available in the two part type that can be mixed for the extra strength they provide. This type of wood filler can be molded, shaped, or used to build something that has become so damaged you think it is beyond repair. But do not underestimate this type of wood filler. The great thing about this type of filler is it can be used virtually anywhere.It has been used on stonework that has been damaged. The larger areas are easy to repair using this type of filler. It stays put and does not react to the extremes of hot and cold weather. 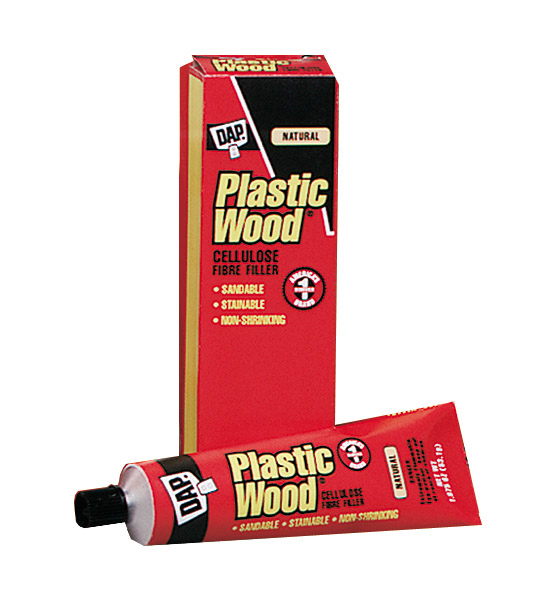 If you want durability this is the type of wood filler you will want to use. Colored wood putty is another example of a product that will take care of your stained wood. Colored wood putty can be purchased in a variety of colors to match your stained wood, furniture and trim, so there are no worries about how you are going to get it to match after you make the repair. From white to teak to pine you will find the type that closely matches your repair job for a truly professional look. If you have a crack in your end table and are thinking of throwing it out, stop. You can repair it using colored wood putty. The putty can be squeezed right into the crack. Wipe off the excess and let it dry.Another type is used for filling nail holes and joints in stained trim. This oil based wood filler is decorative only and remains flexible for a long time. 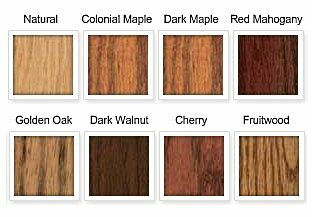 Many colors are available that match manufactures most popular wood stain colors. An infinite variety of colors are possible by blending 2 or more colors together. What is Bondo? – It is multi-purpose filler that can be used on many repairs. This product was and still is used on repairing cars but it also has household uses as well. The correct type can be purchased and used to fix wood that has decayed, stone, concrete, and even fiberglass. It dries to a solid hardness that can be sanded and then painted to match the wood if this is the type of repair you are doing. You will be amazed at how quickly and professionally this works to repair virtually anything. If you want to be a do-it-yourself repair person when it comes to your window glazing, there are several types available. You have to figure out which type you want to use. The process of window glazing is going to take a little time. Some methods are slower than others.So when choosing the type you are going to use, you will have to decide if it makes a difference as to how long it will be before you can paint the window frames. Traditional glazing compound is the type that dries slower and may take a couple of weeks or more before it is ready to paint. This type of glazing is made from drying oils, Linn Seed oil, and has been manufactured for decades. It is an environmentally friendly product that is also low in VOC’s. There is glazing available in a tube that is a latex type. Latex window glazing is similar looking to caulking, except it has minimal shrinkage, and takes about 3-5 days before it can be painted. This is a good alternative if you are pressed for time. In conclusion, before tackling any type of home repair yourself, make sure you know exactly what it is going to take and how to go about repairing whatever you need to repair. Do not skimp on the materials you use because if you do, it will show. You want your handiwork to be a professional looking job and you want it to last, so there will be no need to have to redo it again in a couple of months. Before staining or painting, make sure the surface is compatible with the type of stain or paint you want to use. There are so many types of stains, paints, fillers, and wood products you need to be extremely cautious so you will purchase the right kind. Remember to always work in a ventilated area as many of these wood filler and repair products contain chemicals that should not be inhaled.